The Bureau of Internal Revenue (BIR) has issued a new revenue regulation dated last year (Revenue Regulations No. 18-2012, October 22, 2012) but was only cascaded to businesses early this year that says you need to have new receipts (official receipts, invoices, delivery receipts, etc.) printed out on or before June 30 August 30 and surrender all unused receipts by September 10, 2013 10 days after the printing of the receipts. You can find more information by looking at the RMC No 44-2013. 2. A new ATP was already issued to you on or before August 30, 2013. If your business does not meet both of these criteria, prepare for a hefty penalty for non-compliance. • You will still incur penalties for late filing of ATP (1,000) regardless of when you accomplish this. • Remember to put a stamp “valid until October 31, 2013 only” on copies (original, duplicate, triplicate) of your receipts. Since this is a government ruling, the only thing we law-abiding citizens can do is obey and comply with it. So “what do I now?” you may ask. Here are the requirements and procedures. • This is the BIR 2303. Photocopy it, then you are good to go. • Every year, you have to renew your permits. This is the proof of payment and proof that you have renewed your permits for the year. • All receipts have to be printed by an accredited supplier of the BIR. One of the steps in registering your business is to secure an ATP so that you can have receipts printed out. This is needed. Otherwise, you have to pay a penalty of one thousand pesos (PhP 1,000). 4. Application for Authority to Print (BIR Form 1906). You can download this directly form the BIR website. 5. Last Booklet of Official Receipts, Invoices, and other Commercial Invoices. 1. Go to Regional District Office (RDO) having jurisdiction over business address. 2. Get a queue number and wait for your turn. 3. Submit accomplished Bureau of Internal Revenue (BIR) form 1906, Authority to Print (ATP) together with the other requirements. 4. Releasing of ATP. Usually it take 3 to 5 working days before it will release. 1. Submit the new ATP to the accredited printer. 2. Processing of new Official Receipt and Invoices with accredited BIR Printer. 3. Releasing of new Official Receipt and Invoices. • Usually it will take 10 to 15 working days before it will release. • They will forward it to the BIR to have it stamped. If you do not get this done by June 30, a penalty will be imposed. 1. Surrender all the old, unused receipts to the BIR. Do this within 10 days after your new receipts have been printed. Do all these now. Do not wait until you reach beyond June 30. One of our resources told us that a penalty of twenty-five thousand to fifty thousand pesos (PhP 25,000 to PhP 50,000) will be imposed. If you need help in figuring out what to do, get in touch with our team at +632 746 0121.
who should stamp the receipts? BIR or the business owners? 1. The BIR will stamp the receipts to make sure that it is registered with them. 2. For the “valid until October 31, 2013” phrase, it’s the business who will do it. Hi Ariel.. What if we haven’t return the old ORs until now? how much will be the penalty? We do not have information on that one. Actually, it’s not really “returning” the ok receipt, but letting them see that you are not using the old ones (i.e. Tearing them in front of the BIR). It’s just a check to make sure that old receipts are not being used in some illegal ways. Hi Ariel! I just want to ask about my receipt from BIR. I was supposed to work as a sales associate of condo. I was given by BIR a corporate receipt under my name, unfortunately I was not able to continue working on sales. I have not used those bundles of receipt. What will I do? I just got the receipts last April 2016.
hi with regards to collection receipts – all authorized receipts was used already..if we are going o close a business, is this used collection receipts will still be surrendered to the BIR? who may cancel the ATP? We are under the assumption that only the BIR can do that. Now my question is why would you want to cancel your ATP? Hi Marvie, thanks for the comment. It’s hard to comment given the limited information. I will send you an email for a more detailed discussion. But to briefly answer, your BIR form 2303 dictates what you report to the BIR. I am also assuming you are selling goods (thus, delivery receipts and sales invoices). Rule is Principal Receipts (Sales Invoices and ORs) are the ones the BIR looks at. The Supplementary Receipts (DRs, Billing Invoice, etc.) are used as supporting documents. Common practice is that the supplementary receipts are not looked at by the BIR. But with the new ruling, they might be more strict on this. in our company we have first time to use delivery receipt we have a sales invoice only …it is the same to sales invoice what should i do first ..to registered our DR receipt..
Let me send you an email privately and discuss your needs. But to answer your question, you are selling goods right? Sales Invoice is a principal receipt. Delivery Receipt (DR) is a supplementary receipt. What the BIR looks at in determining taxes to be paid are the principal receipts. DR’s are just used as an acknowledgement that stuff has been delivered. It is still the sales invoice that matters. Can you please help in locating the Revenue Regulations that indicates – Service oriented company will need only Official Receipts and no other supplementary documents such as invoices will be allowed, even if the printer will indicate the following “Not valid as source of Input Tax”, my problem is that our clients are requesting for the Sales Invoice before they process their payment. You can look for Revenue Memorandum Order No. 3-2009, bottom of page 3 (amending the National Internal Revenue Code of the Philippines, Title IV (4), Chapter 2, Section 113, Invoicing Requirements). I am not sure if it was the first time this was discussed here, but it’s one instance that the law states Sales invoices are for goods while Official Receipts (ORs) are for services. As for your clients, i can’t say that they are wrong but they might be misinformed. Our recommendation is to double-check your BIR certificate of Registration (and other legal documents) to see what details , industry and registration type you have. very informative. we have the same case. We are the printer. The business is Mineral Station; it is retail of goods and the primary receipt is Sales invoice…. but their customers still seeking for Official Receipt. As for the selling of goods with “terms” we are told to use Collection Receipt but definitely not OR. tnx… hope my sharing can also answer other queries. Thanks for the info. Yes, Goods = Sales Invoice; Service = Official Receipt. I believe the confusion we have here is that these two documents (SI and OR) are “official” receipts in a sense that they are acknowledged and used in our bookkeeping as sources of income and expenses. THIS IS WITH REGARDS TO OUR OFFICIAL RECEIPTS WHICH HAS BEEN USED BEFORE WE KNOW, THAT IT SHOULD BE STAMP FIRST BY THE HOME RDO WHERE THE BRANCH IS REGISTERED, BUT THOSE RECEIPTS ARE ALREADY STAMP AT THE BIR WHERE OUR HEAD OFFICE IS REGISTERED. WE TRY TO STAMP THEM AT THEIR HOME RDO,BUT SUCH BIR IMPOSED US SOME PENALTIES. IS THERE REALLY A RULE FROM THE BIR IMPOSING SUCH PENALTIES? WE ONLY USED SUCH RECEIPTS AS SUPLEMENTARY RECEIPTS BECAUSE WE USE A POS MACHINE. I’m sorry but we would be needing more information for that. I’ll get in touch with you offline. Hi.. is sale of commercial lot with improvement subject to vat? My question is for late request to change o.r. is there any penalty if my o.r. date is Oct. 2011? I already asked my rdo they say 11k is my penalty is it true? But the memo says penalty is only 1k only. Please clarify thanks. I cannot say anything about the 11k penalty assessment. But I just want to clarify on certain stuff. The 1k penalty (if we’re talking about the same thing here) is for the late filing of Authority to Print (ATP). The reason for this is the deadline for filing for new ATPs was April 30, 2013. As for the 11k penalty, that might be the assessment for the late printing of receipts already – which is, if that’s true, low already. We had some claims of 25k to 50k as penalty for non-compliance at the August 30 deadline given. OUR OLD ATP WAS DATED MARCH 2012. OUR ATP WERE STILL ON FILE AND NOT YET APPROVED, CAN WE STILL USE OUR OFFICIAL RECEIPT? Yes, you can still use them. You fall under the 2 conditions set by the BIR RMO 52-2013. Just make sure you have the phrase “VALID UNTIL OCTOBER 31, 2013 ONLY” stamped prominently on your receipts. why here in bicol particularly here in Iriga City, they are asking the amount of 10t pesos for the penalty? in the first place they did not inform the business owners of the said new Revenue Memorandum Order 44-2013. Hi, ours is a non-profit/non-stock corporation (religious org) with ATP (lost already) printed on the OR dated April 2000. What are the requirement to apply for new ATP and how much will be our penalty? Hi Charlie. The requirements and procedures are the ones listed in the page. You will be needing everything there, plus an affidavit of loss. As my reply to Cesar, there is a 2nd part to this penalty – which is just based on the assessment of the BIR. Which we don’t have any information about. im so glad to come across your website. Anyway, i tried looking for a statement or ruling (but cant find any) in the BIR.gov website for a certain document stating the regulation O.R. and Collection Receipts. the problem is, i already issued a sales invoice to my client to prepare the check. And to claim my check- they (accounting) still requires me to issue an (OR) official receipt. I hope you can direct me where to find the “official statement” (from BIR) or supporting document to provide my client to accept my “Collection Receipt” as the OR. im so glad to come across your website. Anyway, i tried looking for a statement or ruling (but cant find any) in the BIR.gov website for a certain document stating rules about the regulation S.I., O.R. and Collection Receipts. What i have is the collection receipt which the BIR issued the ATP for (and according to them, this is what i need). During collection of check, I was issuing the Collection Receipt but the accounting wont accept and still insists on the OR. and Bec Ive been telling them that the Sales invoice is already my O.R. and the collection receipt should suffice as a supplementary receipt. The situation is the finance department still insists on the OR. To remedy this my client’s accounting department is asking for a supporting document as proof of my claim that the CR should be suffice. I hope you can direct me where to find the “official statement” (from BIR) or supporting document to provide my client to accept my “Collection Receipt” to and finally allow me to collect my payment. Hi Minnie, thanks for the comment. I will just answer here as it’s more comprehensive. Then, upon reading up one the RMOs, i saw another one which would really help you in your case (RMO 18-2012, Section 2, Number 2, Principal Receipts / Invoices). Under the item, it specified there that sales invoice are proof of a sale of goods and/or properties while ORs are for a sale of service and/or properties. For the issuance of a collection receipt, RMO 12-2013, Section II, Item H will support your claim. OH my this really puts a lot of stress on me. Anyway in relation to SI and OR is there any ruling “hindering” S.I. business holder to issue an Sales Invoice if “I” in case provided “service” instead? You’re welcome Minnie. Just let me know if you have more questions and our team will try our best to help you out. For your last question, technically, in everything we do, there’s no hindrance. I mean, you can claim input VAT via delivery receipts (see the other comment someone had on the Difference Between a Sales Invoice and an Official Receipt), you can opt not to record all your sales and just list your expenses. But that just puts you at risk. My opinion, the law (policies and procedures ) exists to bring order to this confusing world that we ourselves made. And of course, penalties are involved here. So, I recommend amending your papers (Articles of Incorporation from the SEC and the Certificate of Registration from the BIR) to indicate that your business is dealing with goods AND services. That means, you will have to make new sets of receipts (ORs and, if you want, service invoices). im quite sure, alot will be enlightened by this thread. You made it easy to understand! You’re welcome Minnie. Please share it with your friends and colleagues. It’s a great encouragement to us that we are able to help other entrepreneurs and business owners. thank you for the assistance, i was able to finally collect yesterday (whew!) Definitely a torn off my chest. Just want to say im glad you guys exist! Hi Sir I just want to ask something about the Collection Receipt. I am a VAT Registered and i know if my business is a VAT Registered all expenses can be claim in INPUT TAX. and my collection receipts indicated NOT VALID AS INPUT TAX… Is it True that I cannot use all my expenses to claim my INPUT TAX? this is according to the bookkeeper i spoke with. And when can i deduct all my expenses from my reports? Is it true that all expenses will be deducted at the end of the year? Collection receipts are only supplementary receipts. The ones that you look for which are valid as source of input tax are Sales Invoices and Official Receipts. Others are merely supporting documents. For your concern of using expenses to claim input tax, as long as it is related to your business, yes you can claim them AS LONG AS they are supported by either a Sales Invoice or an Official Receipt. Deductions of expenses are done on a quarterly basis and consolidated annually during the filing of income tax returns. Hi, useful information here. Just want to note that a typo above, RMO 18-2012 above should instead be RR 18-2012. Thanks Vince! I’ll double-check and update it. Appreciate the feedback. Helps us improve as well. has the same problem as minnie’s… but instead what we issue is an O.R. though we are selling goods… some company would not issue us any payment saying that what they need is a Collection Receipt. What really is BIR’s ruling with regards to this? What I have seen so far is that when selling goods we have to issue a Sales Invoice as a principal doc when claiming VAT. Also, BIR issued/allowed us to use an O.R. stating “not valid for input tax claim” will this be an issue in the future? The claiming for the input tax is “not your problem” but your clients’. You can refer to RMO 3-2009 and RMO 18-2012 for the Sales Invoice and Official Receipt argument. I actually made another post about the difference between sales invoice and official receipt and it’s also one of the prevalent misconceptions here in the country. Bottomline: sales invoice = sale of goods. official receipt = sale of services. If i’m not mistaken, the service invoice is a supplementary receipt that serves as a billing statement / statement of account. Then upon performance of the service, issuance of an OR is made. But, as you said, you are in the retail, so it has to be a Sales Invoice instead. As for your last concern, the labor cost and all, i can’t seem to understand. I’ll get in touch with you offline for more details. Hi! I have an inquiry, I was connected with a real estate co., we issue receipts for our commissions. My contract ended already, & as of the moment I am unemployed 🙁 but I was recently told my last commission will be released soon & that I need to issue the new receipt. (By the way, my old receipt my only printed last April2012 with 10booklets). Its very unfortunate that I need to produce this new receipt ruling from BIR when I only need 1receipt since its my last comm when I don’t even have work or business of my own to use the new receipts. My questions, am I affected with the penalties? I read here they are imposing 10k penalty for late printing? & do you have info if its really 10k for the penalty? I feel like its very unfair for me to pay these penalties when I don’t even have business of my own & I only need last 1receipt so I can get my commission. Do you happen to encounter this kind of situation by any chance & if you have what’s the best advise that you can give me. I’m getting really frustrated & stressed over this knowing I would pay more than 10k for this. Thank you. I can see why you feel that way. Yes, it is very frustrating that they suddenly just change the playing field. But, here’s the good news. You mentioned that your old receipts were only printed last April 2012. Meaning, if you went through the proper process, you should have an Authority to Print (ATP). According to Revenue Memorandum Circular 52-2013, the receipts with ATP dated January 1, 2011 to January 17, 2013 may be used until October 31, 2013, provided that new ATP was issued on or before August 30, 2013. Things is, I am assuming you have not applied for the ATP yet (because if you do, all you need to do now is to stamp the receipt with “valid until October 31, 2013 only”). I will just check with my team of the details, but I believe you will only pay 1,000 penalty for this, not the 10k you mentioned. Reason for the penalty is also stated in said memorandum. I can’t give any recommendation right now, since I do not have the facts in front of me. But the best recommendation is go to the RDO having jurisdiction over you, ask the officer-of-the-day about your situation. Or, try calling their hotline to find out. Again, don’t take my word for it, but from what i see, you only have to pay a penalty of 1,000. Then since it is still October, you can issue your old receipt. Again, give me until tomorrow to sort this out, and i’ll comment here again. I’ve also tried calling my rdo, & as you know how our government works, I’ve been calling and calling but no one is answering my call. So I was really really hoping you can help me. I just want to know if there’s a way for me to skip paying the penalty since I’m not a business owner and do not issue official receipts on a monthly basis. And if how much would be the exact amount. I had an encounter with someone from the inside asking 15k from me. Again, thank you in advance for your help. I just asked one of our team how the process goes. I’ll summarize it first, then give you our recommendation. The whole issue with the receipts starts with getting all your requirements. Bring them to the RDO, then have it assess. Pay the penalty. Wait for the release of the ATP. Now, before the August 30 deadline, this was just 1k, as you would see in the actual post. But since we are way beyond that date, the assessment of fees include the penalty for non-compliance with the regulation. Some RDOs are charging between 10k – 50k for this. While we know that is unfair, it is something we have no control over. Our recommendation is to accomplish the requirements, go to your RDO (early morning is best, not much queue, no tempers, etc. but make sure it doesn’t fall on a 10th, 20th, 25th). Have it assessed then pay the fees. If you want, you can ask the officer of the day for advise first. I’ll get in touch with you via email, maybe it will be better if we can get to discuss offline. can a tape receipt allowed to use as support to expenses in order to be deductible? is it necessary that it should be issued under the name of taxpayer to become deductible? thanks! No, a tape receipt should not be used to support expenses to make it deductible. Except for transportation (like taxis, etc. ), these are not valid expenses and sources of input VAT. Everything has to be under the name of the taxpayer (company or individual) to become deductible. Caveat here is that it “can” be used, but every tax specialist will tell you that that is a risk you are putting on the company. If the BIR audits you and finds out that you used these tape receipts (which are not valid sources of expenses) they may be disallowed. Bottomline effect to the taxpayer, he should have paid a higher amount of taxes. That means, penalties and surcharges will be imposed. High risk, low reward. We recommend, don’t do it. Always request for a manual receipt (SI and OR). good day! this is my first time to apply for authority to print and official receipt.. i don’t own a business but my company is requiring me to get these forms including of the Certificate of Registration. Do you know how much it would cost me to get these thing fixed? i just wanna know.. thanks! I have to clarify some information first, Hannah. What do you mean by “I don’t own a business but my company is requiring me to get these forms…”? What’s your situation? What do you do? And who is the company? Your employer? or a Client? bir caused a lot of inconvenience and loss of income with the ruling regarding the new ORs. i believe that many businesses especially the small ones did not even know that there is a new ruling. 6 months maybe long enough for some businesses with their own accountants and bookkeepers but how about those small entrepreneurs who do not have the benefit of advice coming from such professionals? many will lose their collection with this new ruling as the old ORs will not be accepted anymore. and once they go to bir to get an ATP only to find out that the penalties they will be paying is actually more than what they will be collecting. it’s like being caught between a rock and a hard place. as for me, i’d rather pay for a setup of a new business than to do the complicated dance of applying for an ATP. i will just forego some collectibles that i already issued a billing as i can’t issue an OR that do not match the billing/invoice. since i still have pending collectibles that i have not issued invoices yet but the POs are issued on my old business name, i will just try to negotiate from my client if i can issue my new business invoice for those POs. Hope this is possible. I think bir will lose more money as some small businesses might resort to “OR sa Recto” tactics just to collect. great website by the way. i’m sure many entrepreneurs were helped you blog. more power! Thanks Erwin. Glad to help. And yes, we agree. This move by the BIR was a not implemented properly (like most projects private and public alike, imo). And dealing with them gave me a new perspective. Try looking at it from their perspective. I read in a recent article that their budget allocation and revenue targets are inversely proportional. Meaning, their tax collections grow each year while their budget becomes smaller. And a comment on the setting up a new business: yes that is an alternative. However, businesses have to be closed formally. And that involves additional fees. If you decide to setup a new one, make sure to formally close the old one. Otherwise, each tax return you miss in filing (because you think the old business no longer in operation) is equal to 1,000. And for the average corporation, that’s 3k a month. I’m sorry. We have not done any business in Taguig yet. We recommend you go the the city hall and have your concern assessed. From experience, some of the factors that is involved in securing a business permit is the location, area / size of office, and nature / industry of business. We are engaged in the sale of goods. We issue sales invoice to our customers for each sale. However, we do not have any collection receipt as we do not deem it necessary considering that we are only a very small enterprise and we only have a few charge sales, thus, easier for us to monitor our collections. We are of the impression that since the BIR would only basically look into the principal documents (in our case, the sales invoice), we do not need to issue collection receipts. Are our views on not issuing collection receipts acceptable? Or do we need to obtain ATP for collection receipts? Please advice. P.S. Your page is truly helpful and informative. Glad to have come across. Thanks. Yes, your views are acceptable. Most startups are looking at it in that way as well. Sales Invoices for Goods. Official Receipts for Services. However, with the BIR becoming more strict in their collection and implementation of regulations, it is ideal to have these supplementary receipts as well. We consulted with multiple RDOs and they said that it (supplementary receipts) are really required. But some of them are not as strict as others. I re-read the RR 18-2012 over and over and it did not say that a business should only use registered principal receipts. Other regulations say that as well. What i noticed is that principal and supplementary receipts are always discussed together. RR 18-2012, RMO 12-2013, RMC 44-2013, RMC 52-2013 (and there are more) all mention Principal and Supplementary Receipts. So while this might not be a concern before, it is better to be safe than sorry. We recommend you amend your ATP to include Collection Receipts (and Delivery Receipts if you think you’d need it). PS: Thanks! Please share it with your friends. We aim to help out other MSMEs out there. Information does not spread as easily as we might want and this is one way we know how. Hi Ariel… we have a purely service company and have complied with the new official receipts before the required deadline – no issues with that. Problem now is we have 2 clients from the Top 20K companies/tax payers who refuse to process payment unless we provide them with a “billing statement” with ATP. For the past 8 years in the business, we normally send out “unregistered” SOA’s (Statement of Account) as a form of billing. This is based on the fact that we are aware that for service companies, the only requirement by the BIR as a sort of “official document” reported to them is the Official Receipt. Do you have any definite info if it is really required to register any sort of billing document by service companies based on RR 18-2012? If so, it follows that we have to file the “billing statements” with the BIR just like with the Official Receipts – isn’t it redundant? What is the logic for this? If not, do you have any legal document that I can share to our clients that ATP is not required for any sort of billing document for service companies? Hi Ted, we are in the same line of business (purely service) so we definitely understand your concern. We have been using Statement of Account then just issue the Official Receipt once we get paid. Like what i just answered Cher in the comment, we consulted with several BIR RDOs and they said it is really required. The only difference is that some RDOs are strict with compliance in that area, while some are not. I read the different RRs, RMOs, RMCs that are related to this receipts issue and they sit not say that businesses should operate using only principal receipts (Sales Invoices and Official Receipts). What I did notice is that all these laws talk about principal and supplementary receipts together. I am not a lawyer, we have not consulted any legal advice here yet. So connecting all these together (the BIR becoming stricter, new ruling, laws talking about principal and supplementary receipts together), might as well have these supplementary receipts registered. You client, since they are in the top 20k taxpayers, they might get penalised for non-compliance so you (as their supplier) is also affected. We recommend you amend your ATP to include Service Invoice and that will be used as your billing statement. Answer is a bit long-winded, sorry for that. Thanks for the prompt reply Ariel. I’m with you that it’s better to have service invoices made. My concern now is how to avoid the steep penalty. You mentioned amending our current ATP which originally indicates Official Receipt only – is this actually possible? Rather than applying for a new ATP which most likely will result to penalty charges. Sorry, i gave the wrong information. You apply for a new ATP, not amend it. Yes, there’s a penalty for that. Technically, that is in violation of section 264 of the National Internal Revenue Code. You can take a look at RMC 52-2013 which explains / clarifies the validity of unused receipts. in our company we have first time to use official receipt we have a cash invoice only. Hi Ellen. I won’t be able to answer your question because there are other information i need to give you an exact answer. What i can tell you is this. The BIR does not have a set amount to give you as your penalty. The law only states a maximum of 50,000. So that means you can negotiate to have the penalty imposed on you to a lower amount. That said, you might want to check your BIR Certificate of Registration first. Take a look at the line of business and your ATP to see what receipts you should have been issuing. If you are dealing with goods, you should be issuing Sales Invoices. If you are dealing with services, you should be using Official Receipts. Of course, if both, you should have both. Glad I came across your blog. We have just requested to have new receipts printed and I was told there are businesses that requested new receipts to be printed 3 months ago and still hasn’t received their new receipts up to now. I would like to know if there is any way to get around collecting from our customers without issuing an official receipt, like maybe issuing a temporary receipt with a letter stating that the temporary receipt will be replaced by an O.R. as soon as we receive the new receipts? Is there anything from BIR that allows businesses to collect while still waiting to receive the new receipts due to the printing delay? It’s not our fault that we still don’t have the new receipts since the printing peeps can’t keep up with the orders. Would really appreciate your help on this. Thanks, we’re glad to be of help to you. As far as collection is concerned, i don’t think there is any law that would prevent you from collecting even without issuing a receipt, because you are going to issue them. You are just waiting for the receipts to be printed out. Yes, we understand that this new rule caused the printing of receipts to take up so much time. We had a case where it took almost 5 months before the receipts were printed. I think it’s completely reasonable to issue a temporary receipt and a letter promising you’ll issue the primary one once you grab hold of it. As assurance, if you have your ATP with you, i would attach that as well and say we complied by this date and still waiting for the receipts to be printed. I think your client would understand that . On the part of the receipts, i recommend you continue to followup with the printer weekly. If possible, try to do it a couple of times in a week. Best if you (or one of your people) go to the actual printer. That way, you can get to build a relationship with them. Who knows, they might really just be fully-loaded with print jobs and that relationship might help your order pushed up. Hi Ariel! Is there a BIR RR. RMC or RMO about the definition of Acknowledgement Receipts? None that i know of. Currently, the only supporting document i can give you is RR 18-2012, Section 2, Item 3, where is says that Acknowledgement Receipts are documents evidencing delivery, agreement to sell or transfer of goods or services. One thine i would like to highlight here is the last paragraph in that Item, saying that these Supplementary Receipts are not valid proof of support the claim of Input Taxes. We are an association/league and we are still using the old Official Receipts for our monthly dues. Are we covered with this bir ruling for us to change our Official Receipts? We are not a business entity but just an association. Please give me the a proper advise. As a general rule, we tell everyone that they are covered with the new ruling. There are small intricacies in this case, but if you have a BIR 2303 (Certificate of Registration), it is 99% guaranteed that you have to comply. If you want, you can request a free consultation. We will ask for more details, and a copy of your BIR 2303 as well. We have encountered that issue as well. No, Official Receipts are not replaced by Collection Receipts. Until these people can provide us any RR / RMC / RMO from the BIR saying that a Collection receipt is the new Official Receipt, we stand by our original belief. Collection receipt, as stated indicated in RR 18-2012, Section 2, Item 3, paragraph 2, is only a supplementary receipt. So you should still have your Official Receipt. Just a question regarding on the issuance of billing statement receipt, We are in an Engineerin Services, we already have billing statement receipt as our RDO advise that when you render service you have to issue a billing statement, some of our transaction with our clients relates with goods that are used to perform the service. having the same related issue with Ms. pauliza f. calsa . My question is, Is it okay to issue a billing statement rather than sales invoice to our clients? We are depending on the details of their PO , we only issue sales invoice if their PO is purely goods. and Billing statement if its services or mixed (goods that are used to perform service and inclusive of intallation services). Please help we’re really confused with this. From what i understood with your comment Jov is you are selling goods and services. And that you are issuing a Sales Invoice if your client’s PO is purely goods. And issuing a Biling Statement for services / mixed. You should have both Sales Invoices and Official Receipts. You can refer to our other article for a more in-depth discussion about this topic. Our tax specialist recommends splitting the Sale into an Official Receipt and Sales Invoice if you have mixed sales. If it’s for goods, then just use the Sales Invoice. If only services, just use the OR. For example, PO of client is a replacement of parts (sorry if this is not part of your services, i’m just making this up). You should be issuing a Sales Invoice. If the PO is for supply and installation, there is a term that our tax specialist used, function-over-form (or form-over-function? which i didn’t understand as well) but that PO should be issued with an Official Receipt. We’d be glad to help. You can request a free consultation and we will get back to you immediately. Hi! can you help us elaborate, what does “Commercial paper/receipt” mean? If we were not able to register and apply new ATP for our Statement of accounts, parking tickets and purchase order , do we really need to pay the penalty of P20,000.00 for each form? The penalty for non-compliance is actually a non-compliance with the National Internal Revenue Code Section 264. The penalty is a vague amount of 1,000 to 50,000. The BIR itself determines that amount so we cannot say how much penalty would be imposed. We have experiences where only 1,000 is paid, while there is another instance 25,000 is paid. That really depends on the BIR. I recommend you go directly to the BIR RDO covering your business and talk to the officer-of-the-day. Ask for the specifics. One suggestion, go there in the morning. And avoid the deadlines (10th, 20th, 25th) so that there will be less people there. hi, question if the company is new and there are no income yet, but there are purchases (input vat) or pre-operation expenses, is it correct to file “no transactions” in form 2550m? second, can we still use our pre-operation expenses (input vat) in our future filings? No. You have to declare these purchases (input VAT) in your monthly and quarterly filings. Then just carry them month after month. If you fail to report these, and the BIR finds out, the amount you placed in the Input VAT section might be disallowed. The end-result of that is additional penalties, interests, and surcharges. Please keep track of your input VAT. Treat them as your assets (because they really are). Can we accept collection receipt from our suppliers? Is this valid for VAT purposes of the SELLER? As for us, we are exempt from taxes and don’t claim input tax but for the sake of our government, is collection receipt valid? Yes you can accept them. However, that is tantamount to them not declaring the sale itself because they did not issue a principal receipt (SI or OR). So on your supplier’s part, if they did not issue (say they are a services company) an Official Receipt, in their books, they received your money and did not report that sale because no OR was issued. You can check RR 18-2012, Section 2, Definition of Terms, Items 2 & 3. Now, I’m curious to what you just said that you are exempt from taxes. Did you mean you are enjoying a tax holiday or VAT exempt? Because as far as i know, There are no organisations exempted from tax. They are only given special privileges AND still have to comply with some reports. But that’s another discussion of course. hi, can i ask for an advice..what would happen if until now we are still unable to file for ATP on new invoices? our company is BOI registered under EO 226 and we are purely export, therefore under zero-rated vat..having filed for registration, the company has filed for ATP wayback 2009, until now those invoices that we have are unused..we are starting to make sales here in the philippines and our customers are asking for official invoices..we plan on applying for ATP now but worry on the penalties of having old invoices..our registration has been amended last July as well because of not having vat under our tax types..i hope to explain this more if i get some response..thank you! Short answer: You still have to apply for new receipts even if you are not issuing them to your foreign client and local clients. Every income must be accompanied by a receipt, whether locally or internationally. Long Answer: Irregardless of the operations/nature of the company (in this case registered with the Board Of Investments), receipts whether used or unused should not be used for issuance, rather inventoried to the time the new regulations were imposed. Pursuant to RMC 52-2013, application of the new ATP filed after April 30, 2013 is deemed to have been filed out of time and subject to compromise penalty of one thousand pesos. This applies to both vat, non-vat and zero rated sales, this will validate deductibility of input VAT (VATable taxpayers) and allowable expense for income tax purposes. New receipt should be used for purposes of income recognition thru Authorized Printers after payment with the BIR of the penalty. Hi, we are following up payments from a customer for goods. In 3 months, we have issued several sales invoices and DRs upon deliveries of such goods. However, only our sales invoices are registered with the BIR. Our customer now is holding payment until we replace the DR with a registered DR. What is our recourse? Can we not collect based on the Sales Invoices? We can issue Collection Receipts which are also registered with the BIR. Thanks. This is really sort of a grey area. There is no RR/RMO/RMC that specifically says you need this in order to collect. We have been asked that a couple of times already and actually made an article about it. Your best course of action is to get your receipts registered. You will not have to pay for any penalty because you complied with RR 18-2012, so you are not covered by it already (i assume). Then, while that is being processed, leverage on your relationship with that client. Follow the steps we outlined in the article above. ask ko lang kailan po ang simula para mag apply kami for official printers, kasi provan pa lang kami. I did not understand your question. Can you rephrase? Thanks! Last August 2013, someone encouraged me to apply for a job in real estate industry. Fortunately, they accepted my application and have to attend some training and orientation. Some of the requirements before having the full accreditation have to secure COR from BIR and printing of receipts. I accomplished and have my COR last August 27, 2013. By the time after securing COR, and looking for a printing press, I underwent medical operation and my recovery period took almost two months. After recovery from operation, i decided to cancel plans pursuing career in real estate. So I went to BIR to cancel my COR, that was last Wednesday November 20, 2013. I was shocked, some BIR personnel that I’d talked with, told me and imposing me a fine of 20,000 pesos but it could be lessen to 10,000. It’s very horrible and depressing moment in my life. I explained to them that I’m just looking for a job to earn for my family not filing forms in BIR. It’s very simple, applying for a job, interviewed, took some exams and passed. Next procedure, submission of requirements. What are those? NBI, SSS, Police clearance TOR etc. So, since I’m new in the field of real estate agent, I assumed COR for me is just one of the requirements, and I wasn’t aware that COR is not just those ordinary requirements like those I’ve mentioned. If I knew in the first place that securing those requirements has to ruin my life, I shouldn’t wasted my time and instead continue driving a cab everyday, earning money for my family and have peace of mind. Please I really need help and what to do, this is unfair for my situation. I couldn’t have a good sleep everyday thinking about it, I felt totally destructed and feel psychologically affected. I just want to have a job to earn for living, still up to now I don’t have a job and the BIR people wants me to pay for something that I haven’t earn yet. I’m so sorry about your experience. I do hope you are feeling better now as well. No, you do not need to pay that 20,000 they were asking you for. Unless they gave you specific laws and regulations that can support their claim, they are just baiting you since a lot of people are not familiar with tax stuff. I want to learn more about your experience. I will get in touch with you via email and let’s talk about how we can help you. In the mean time, please take a photo, or scan your COR and send it to me when i send you an email. A lot of things will be answered by that document. Hi, just want to ask if there are exemptions for issuing an official receipt for leasing/renting a space or house that were utilized as business establishment? No, there are no exemptions for not declaring income. This would actually increase your risk more by not issuing receipt (and declaring income) in two ways: local government and the BIR. On the BIR side, if that lessee reported that as an expense of their company side, you as the lessee should have withheld 5% of the total amount. By law, the requirement for responsibility for withholding tax is on you — the lessee. With the city hall, you should also be registered as a lessee because they would be needing and checking your documents about it. If the government founds out you are not registered as a lessee, that would mean more penalties, or worse, closure or suspension of the business for not having the proper permits and licenses. ask q lng po if mgkno ung isang booklet ng receipt for retailers?? sbi kc nila mhal daw? I’m sorry. We are not printers so we can’t give you an amount for this. The best way to get your answer is to ask an accredited printer directly. You concern for the receipts being more costly is probably because they are bigger (more paper needed) and in triplicate, carbonised copy. Those are some of the factors that would affect the rate. Hi, what are the requirements needed to apply for a loose leaf invoices etc.? Hi, we don’t have that one yet *wink*. But a quick answer is to fill out all the details / blank areas and you’re good to go! Yes they are correct. The “official receipt” you need for your business is the Sales Invoice – it is a principal receipt. The Collection Receipt is a supplementary receipt. If i may suggest, get a Delivery Receipt as well. We encountered some clients who deals with goods and had a hard time collecting because the company is looking for an accredited Delivery Receipt. Is an expired Official Receipt acceptable, even though the services has been rendered before-hand? Please help. No. It is not acceptable. The date on the receipt would be the determining factor here. hi ask lang po if magkano penalty pag nalate ng post ng 2days sa libro..? The implications of not having and issuing receipts are big. One is in violation of Section 264 of the NAtional Internal Revenue Code (NIRC). Next, you cannot collect cash from your clients. Without any receipt, they cannot claim that as a valid expense, so definitely they won’t spend for something without an reward for them. Your unused invoices does not matter in this case. It is clear that all taxpayers (that fall under the criteria indicated in the article) have to renew their receipts and ATP to comply with the law. What would happen is you will definitely be imposed a penalty of 1,000 for late application of ATP. You will also incur expenses for having the receipts printed. But the other penalty is dependent per BIR RDO. It is better to comply now rather than delaying. It will only cause you more problems in the long-run. do i need to have the branches’ invoices/or to be stamped by their respective rdo if those were already stamped by the ho’s rdo? the printer said there’s no need because its consolidated…. Based on the limited information here, our recommendation is this. Check with your HO about your different branches and operations. Because technically speaking, a branch is another place of business that earns. So it has to have its own set of receipts. One way to check this is the TIN of that branch. There are 12 digits in a Tax Identification Number: 123-456-789-000. The last one is often omitted because there is only 1 office. However, for bigger companies that have branches, the last 3 digits represent the branch. They have their own receipts which indicates their own address, TIN, and other information. Question lang. Required ba talaga lahat (ke business or non-stock/non-profit) na magpalit ng bagong OR kahit na last Sept. 2012 lang ito na print? Bagong foundation kasi ito ng simbahan kaya non-stock/non-profit ito and they are not aware about this new ruling ng BIR. Thanks! Yes. The ruling states all taxpayers, and in that sense, almost everyone is a taxpayer, even non-profit organisations. Hi , May i ask about the new ruling for the issuance of Collection Receipts. Our vendors for Goods/equipment have started using the Collection Receipt that is Mandated by BIR according to them but our finance dept. refuses or have not recognized it. Is there any letter or memorandum pertaining to my inquiry bout the new policy? our finance is still looking for the Office Receipt. but as advised by our vendors OR is for service. Yes Deth, ORs are for services. It has been for the longest time. Our article about the difference between sales invoices and official receipts will help clarify this. However, collection receipts are only supplementary receipts. The one that is recognized as valid source of expense and input vat is the Sales Invoice. My problem is still unsolved, Until now we don`t collect our check yet to our clients, by the way, I work as accounting personnel in private company, our line of business is plastic manufacturer and we supply cooler box (goods) to clients en at the same time we customized cooler w/their company logo,. As a new rule of BIR they issue us a Sales Invoice Delivery Receipt & Collection Receipt since we are manufacturer of plastic products…And these all receipts we`re using to our clients,,After their terms were collecting payments to their company but their releasing dept. dont give us the check because they ask for Official Receipt…We explain to our clients that we have only collection receipts given by BIR,,but they dont accept it `cause they said that we rendered both goods & services…Is the customized cooler box w/there logo considered already as service? If this is the case, what is the right receipt we gonna used? I’m gonna work for a real-estate company im just gonna be an agent but 1 of the requirements is to have a BIR reciept??? that’s the first time a heard that? is that true? they sould already have thier own reciept right? Yes Richard, that is true. You are going to issue your own receipts. You are, in essence, already a business when you enter that trade. Real estate businesses are, from observation, one of the mist strict institutions that implement this. And they are right in doing so. That should be the case for ALL freelancers as well. All transactions (barter of goods or services for money) not supported by any receipt are illegal. I do legal research (civil and criminal proceedings) for an estate administrator and also sell any goods if there is a prospective buyer (ex. bond paper supply). I actually earned 70k last year. I decided I will register this year or specifically on Monday. 1. What BIR forms do I need to fill up to register since I provide service (legal research) and also sell goods (bond paper). 2. What BIR receipts will I need (I am assuming I’d be needing O.R. for service, Sales Invoice and DR for the goods)? 3. What do I tell my client (who wanted me to deliver bond paper to her on Jan. 6, 2014) about the receipts I am required to have but don’t have yet? Is there any document I can initially issue to her while I am processing my receipts for printing with BIR? Please advise. Thank you very much in advance. Lastly, you can tell your client that you are in the process of getting receipts. Maybe an acknowledgment letter would suffice for now. Just don’t forget to get back to them once you get your receipts. Hope this helps! Hello, I have a concern & it’s getting me anxious. Here’s my situation: we needed to print new sales & charge receipts for our business but the BIR is making it stressful. First, they asked us for an inventory list of surrendered old receipts but since we have used it all before the deadline, they asked us to provide an affidavit. Now, they are asking for 5 copies of the used old receipts for verification. And now, I don’t know if giving them a copy of used duplicated receipts was a right move and aside from that, I still don’t know if they will approve us for printing new receipts because of the holidays and we really need new receipts. Is there an alternative if ever printing for new receipts will be delayed longer? Honestly, the process we described is the “template”. Some BIR regional district offices (RDOs) have different policies. Sometimes, it differs on who the person is processing your application. The only way around it is ask the complete process from the officer-of-the-day. That way, you’ll have a big picture of how the process goes and you’ll know if the assessor is going out of the way or not. If white original receipt is loss and the customer wants for refund? How can we refund if he/she has not shown a copy of white original receipt? Is affidavit of loss, okey? That is up to you and the policy of the company. Personally, i think that presenting the original receipt is only a check to make sure the product / item was really bought from you. So replacement or warranty issues depends on your policy. My Comment is, it depend upon the company policy on Purchases Returns and Refund. Affidavit of Loss is not actually necessary in this kind of transaction. Good thing if the business has a customer service that could assess and verify the transaction. We have a collection from a government agency where we delivered goods (we are engaged in general merchandising) and issued corresponding delivery receipts and sales invoice after delivery. Check payment is ready but the cashier does not want to release the payment cos she is asking for an Official Receipt. our company does not have an OR, what we have is Collection Receipt. We explained that OR is for services and sales invoice is for goods and that the Collection Receipt is only supplementary to the sales invoice. But still, until now we did not get the payment due to the foregoing. May I ask what specific BIR guideline is applicable to this cos I already searched online as we would like to show the Cashier but I only read guidelines on ATP and issuance of new invoice. Looking forward to your kind reply. Thank you very much. I have checked Revenue Memorandum Order No. 3-2009 but there was no mention of issuance of supplementary receipts such as collection receipt. Hi Christine. 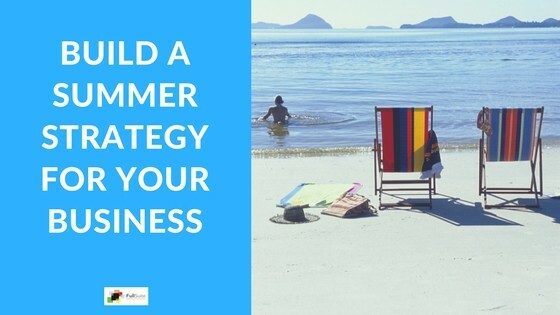 We wrote an article about this as well (http://blog.full-suite.com/resources/tips-for-business-owners/what-to-do-if-client-refuses-to-pay/). We provided a step-by-step guide on how to go about your situation. This may be out of topic but it arose when we were filing for ATP. When we applied for ATP last year in compliance with RR# 18-2012, I was shocked to find out that we have several open cases with the BIR dating back to 2005 when we opened business. Basically the BIR are after non filing of some 1601-C, 1601-E, 2550M/Q from 2005-2012. We have been faithfully paying these and was never late in making payment before deadline – I have the forms with bank stamp and bank receipts to prove everything the BIR is after from 2007-present (I settle all BIR payments via Unionbank). My problem now is all 2005-2006 records have been discarded thinking that a 5-year period of keeping all receipts is enough. And correct me if I’m wrong the prescribed period is 3-years (in late 2013 I think it was extended to 10 yrs). The bank likewise can no longer provide a copy of the check I used to make payments or whatever bank document to prove the same. Having said this, how can I prove to the BIR that I have no liabilities with them for 2005-2006 if I no longer have proof to show? Clearly, the BIR clearly has problems with encoding payments to the corresponding payors. Sorry to hear that ted. I’ll check with our tax specialist if there’s something we can do. And, moving forward, don’t discard anything, especially when it comes to dealing with the government. You can opt to have them scanned so you still have the soft copy. When I applied for the new ATP I submitted copies of last Service Invoice and Official receipt which I have been using for the past 2 yrs. I even ask for staff of BIR to recommend authorized Printer so everything will be clear. It took me almost 5 months to received my Service Invoice and Collection Receipt. Both indicating “This document is not valid for claiming input vat”… When I asked the BIR staff why a collection receipt and no OR, she said I should have applied for OR too. My point is I left everything to them they are more knowledgeable when it comes to what forms I need. Now is it fair if they will impose penalty to me if I applied earlier and they are the one who is doing the ATP. what do you think will i do? Ive searched for the said atp and negative. my boss said it was probably been dumped after they’ve renovated the office or it has been damaged by the flood since our office is in a flood prone area. sir, mind if i ask this? it is needed in making our accounting manual. How is it to use official receipt and sales invoice righteously? Our company lost 4 stubs of official receipts and then one of it was used already… Do we need to report this thing to BIR? I advise that you do so. Most likely, they will ask for an affidavit of loss, so might as well be prepared with one. I wish I found your site earlier. I would’ve found some enlightenment instead of ending up with a penalty since we cannot show them duplicate invoices they were asking for even when we gave them another affidavit of loss. We throw it all out during a general cleaning. But I guess it was a disaster waiting to happen. Like I first said before, when the new ATP ruling was approved we have already consumed all the old invoices because it took too long to print the new form of invoices then. Aside from that, the BIR told our printing press we’re not allowed anymore to have sales invoices if we also use charge invoices. They said we should change our sales inv to cash inv so we can also have the charge inv. Our printing press said sales inv & cash inv are just the same so I said okay. Is that ok? And, I still need a substitute as a temporary receipt to give to our customers while we wait for our new batch of receipts. Is any store bought receipts or inv templates downloaded from the internet good enough as a substitute and then when the new batch of receipts come, we would just transfer it to our inv? I have my own business, a home base business and im currently employed which I used the same TIN. Aug. 2013 when I got my COR and since then until Nov 2013 I dont have any sales which I failed it to report to BIR. Will there be any conflict on my job if ever? Your prompt response will be much appreciated. Thank you. No there will be no conflict with your job, assuming they don’t have a policy on that one. Personally, i don’t think it will be a problem if you continue to deliver results in your present employer. I think the only reason why the policy of having another job is for the purpose of making sure the company gets what it pays for and of course, protection itself. You will, however, have an issue with the BIR because you haven to reported anything to them. Please file tax returns even if there are no transactions on the sales or expenses side. It is mandatory. And for every missed filing, there are corresponding penalties. Take a look at your BIR COR and you will see what taxes you have to pay and tax returns to file on a regular basis. does bus tickets covered by this ruling ?? I am sorry, I d not have the answer to your question. Hi. I forgot to file for our quarterly vat. Now i cant ask money to my boss to pay it with penalty. Is it okay if i will ignore this problem now and be alert of the quarterly vst next time?? How will the BIR know if i paid? What will be my future problem? There will be corresponding penalties, surcharges and interests for non-payment and filing. If there are taxes due, then surcharges and interest will apply. If there are none, penalty for non-filing of return will be imposed. Yes, you can choose to ignore this for now, but eventually, when the BIR finds out, you will be penalized. Interest and surcharges grow daily, if i’m to mistaken. Lastly, how the BIR will find out if you missed payment and filing is something we do not have an answer to. Before, the BIR “looks into” your account only if you are a large taxpayer or if you requested for something from them (e.g. change address, annual registration payment, etc.). However, with the BIR becoming more strict nowadays, i’d recommend you pay the appropriate taxes (if any) next month, together with that corresponding taxes and file the returns. Our company is new as of March 2013, already had our Official Receipts Printed (actually, it was done by one of the BIR employees). When i took the OR booklets handed to me by that personnel, she told me that it is already okay, she didnt tell me that it needs to be stamped, therefore, i did not have it stamped. The short answer is: We don’t know. I recently published an article about penalties with the BIR since we are getting a lot of inquiries about it. Our recommendation, go to the BIR RDO having jurisdiction over you and ask the officer of the day. I work at a Zero-Rated company. We have a transaction with a VAT registered company (sale of goods) They have issued us an invoice, and we have subsequently processed and settled the whole payable amount (VAT included). They are issuing us an acknowledgment receipt but my colleague tells me that we should only accept an OR. Comments please? Let me get the facts straight first. So you bought goods from a VAT registered company. They issued you an invoice. What is that invoice? If it is a Sales Invoice, then the acknowledgement receipt (AR) is OK. It’s simply an acknowledgement that they got paid. If they issued you a billing invoice and an AR, request for a Sales Invoice. That is the primary document you should be looking for in this case. 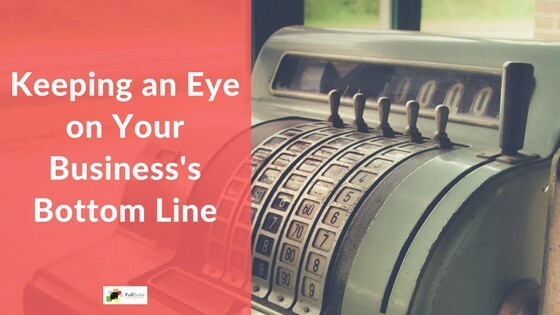 This article I wrote about the Right Type of Receipts for My Business will probably shed some light. Hi, what’s the difference between BIR Form 2551M and 1601C? Regarding sa billing invoice sa company namin, ng bill. invoice kasi kami ng mahigit one million peso then, may 50 % downpayment. need your help po. May problema po ba ito? Kelvin, I will be needing more information about that. Like what is the nature of the transaction? Is is a sale of goods or sale of services? Recording of goods and services are different. So that information is vital to answering your question. But on a generic level, assuming that billing invoice is a supplementary receipt, there is no problem even if you billed twice or even more. But the best practice is to bill the whole amount (100%). Then, when they pay you, say, 50%, you issue a principal receipt (Official Receipt or Sales Invoice; again i don’t know the nature) then reference it as 50% partial payment to the said billing invoice. Hi Sir, Thank you for your response on my question. Another thing, in a transaction where can we possibly get the computation for the service charge is it from the Vatable Sales or Gross Amount? my question is not regarding for the BIR Receipts,lol. One rule I always apply is that “everyone lies about their salaries.” So unless you saw the payslip itself or something, I wouldn’t take his word or other people’s word for it. When it comes to the tax refund at the end of the year, we cannot give you how much or whether the computation is right or wrong. Different companies have different policies regarding their “annualization” and sometimes that is spread out from October – December, instead of one lump sum amount at December. That is especially true for those with commissions or other increases. Basically, the computation here is total gross compensation – absences, late’s + OTs, etc + taxable allowances – contributions – exemptions = taxable amount. Then apply the tax table, then you get how much you are supposed to pay the BIR. The bi-monthly deductions being made is only an approximation of the real value that is why there are discrepancies that happens throughout the year. Im not sure if i did the right thing. We have registered our new business with BIR a couple of months ago. When I got my COR to my surprise the date indicated there was october of 2013. We have registered our business on the month of november 2013. I ask a personnel from the BIR about this matter, and her explanation was they cannot change the date from the COR. If i were to follow the date indicated on the COR then i should have filed a monthly percentage tax on november, instead i filed the monthly on december as no transaction which was for the month of november. I explain this matter to her and she told me,i will base my payment on the application form i filled up with BIR. Is she correct on this matter? I left it at that. Now im not so sure anymore. Sorry, but I did not get the issue here. So did they require you to pay any penalties? If not, then leave it at that. That usually happens to us as well. Since we do register other people’s businesses, the BIR COR also have some discrepancies with the release and the date printed. However, there are 2 cases I can see here. First, did you do your due diligence in getting the COR on time? Because it might be that it really got released last October, but you were not able to follow up so you only got it on November. The next case, which happens to us as well, is that the COR date printed is earlier than the actual release. But there usually is a stamp (cannot pinpoint where because some it’s located at the upper left, some bottom right; so it’s different per RDO) that signifies when it was signed and released. And that is the date that we follow. For example, we registered a Sole Proprietorship before in Pasay last 2012. Then when we finished the whole process, the COR date printed was 2008 or something. But there is a stamp saying it was released December 2012. So the basis of our filing of returns is on December 2012. Hope this helps! I have a question regarding an ATP.We own a printing company.We have this one difficult client and we have already deliver receipts partially.But due to some problem, we want to cancel the ATP and discontinue to print their receipt.Is there a way or procedure to cancel the ATP?Is there a form to fill up? Hi sir, glad to see this informative site.I hope you can help me as well with my situation. I applied for a DTI Business name last March 2012, but I didn’t registered it to our LGU and BIR since then because the business was never started and operated. This year we would like to register the name to LGU for permits and BIR so we can use the same name and start the business. Is there a penalty for a late registration of my DTI and how much will it be? or is it better to cancel my business name and apply for new one before I registered it to the BIR? Thank you and hope to hear from you soon. Hi Chris, thank you for your kind words. We are happy that we can get to help out other people with their businesses. Normally, everything that is not in the norm has corresponding penalty. I’m sorry, I won’t be able to answer if there will actually be one. One thing to note though is that you might not be able to use the same name if you applied for a new one because somebody else (in this case you) used it. The system will catch it and you have to do an appeal for it in order to be used. That adds additional steps and takes more time. hello. may i ask if you closed your business? did you had penalties? hi sir, i just want to ask if a non stock non profit organization is also covered by this new ruling of bir? and if they are required to have new official receipt? thank you. It depends on your actual registration. If you are indeed a non-profit org, you should have a different set of receipts – to document donations, etc. If you are, then you are not covered. Primarily because the ruling primarily covers VAT and non-VAT Sales Invoices and Official Receipts. sir if the non stock non profit is registered in SEC are they required for the new BIR ruling? thanks you! The registration with the SEC is not a factor. What matters is the registration with the BIR. Yes, it follows logically that if you register with the SEC as a non-stock non-profit organization, you have to apply that with the BIR. But that does not happen 100% of the time. Your certificate of registration will be the answer to this. You can also check on RMO 20-2013 as supporting detail to determine your claim for being a non-stock non-profit organization. hi ariel! i have a small home-based business and it’s service in nature. i was just doing freelancing before but finally secured a business permit and official receipts as clients were requiring i issue them an OR. but basically it’s still a humble business till now that i never deemed it necessary to have any supplementary receipts printed and registered with the BIR. but just today, one of my usual clients is asking for a billing statement that is BIR registered. what do i do? i don’t even have an official BS since i bill my client through email most of the time. Hoping for your reply. thanks! Basically, you need to have at least 5 receipts (2 primary, 3 supplementary) to make sure you are covered and won’t get into any trouble. hi.. what if i dont pay rent? what document will i pass to the bir? I don’t understand what you meant. Can you provide a more detailed explanation? You don’t pay rent –> lucky you. What documents will you pass to the BIR –> why do you have to? My son is excited since he will soon be employed in a private organization. The only thing he needs to work out is his TIN. I was told that he has to get his TIN at the BIR in the local place where he would work – that is, in Quezon City. How much would he pay BIR QC when he applies for his TIN? Is the payment to obtain his TIN number the same for all new applicants regardless of their starting salary? His TIN, like the SSS, Philhealth and Pag-IBIG numbers, are his prerequisite documents prior to his start of work at the said agency. Hoping for your honest response. That’s great to hear Gil. Congratulations. I personally don’t know how much to get a TIN. But normally, any application with them (company TIN, etc) are a fixed 500 pesos. So we can safely assume that that’s the amount. And yes, salary is not a factor in the rates. PS: the BIR has an online system that allows people, like your son, get a TIN without having to go to the BIR itself. The catch is the company has to be registered with the BIR. Hi Blesilda, it is printed on the “ask for receipt” sign – which should be posted anyway. But here are the information you were asking: phone and email. Your advise on the above case would be highly appreciated. Question: Our business is related with medical. Our main office is at Taguig and we have branches in Maynila (Gat Andres and Ospital ng Maynila). Our ATP and ORs were stamped by BIR taguig. Is there a need that Branch RDO must also stamped our ATP and OR (1st and last booklet only)? How about we already issued old OR format and having difficulty retrieving it from our clients. Either we cant contact them or they cant find it. Can we issue Affidavit… So we can replace it with new OR format? Professions, like Insurance agents, are required to apply for a new business registration. I submitted the application for new registration last Feb 4, 2014. And they were able to issue the COR last March 19, 2014. As the given info from one of my colleague, there is a given 30 days period to be able to process the Authority to Print prior to imposing the penalty. In this case, due to some financial concern, I submitted the Authority to Print OR, just today. The question is, do I really need to pay the penalty since the reference they made is the Feb 4, 2014. We are not really aware that we can submit the ATP even if we only have the claim stub. Hope you will be able to give a better clarification on this. Thank you. Hello Ariel, I’m from the accounting dept of one of the top 20k companies and we’re about to pay a supplier who is not compliant with this new ruling, can you be more specific what kind of “trouble” we are in if we pay the supplier? question: tanong ko lang po kung ilang copies ang BIR new receipts? after issuance po ng CERTIFICATE OF REGISTRATION, how many days or months po pedeng mag apply for ATP or to have OFFICIAL RECEIPT? what if po the business was with COR already but not yet operating? is it required to request immediately the AUTHORITY TO PRINT right after the issuance of COR? As long as you are registered with the BIR you can apply as well with ATP, the usual time to process it isn’t that long depending on the officer processing your papers and with the Authorized Printer to finish the printing of the receipts. Hi sir ariel, im working in a multinational company and having concerns on the difference between goods vs services. Majority of our vendors are providing promotional items ( ex. Tshirt with our company printed on it). Our vendors and RDO confirms that this is considered goods but our auditors treat this under service or customized goods and MUST issue an official receipt and NOT collection reveipt. Is my example considered goods or service? What document or BIR ruling can support the difference between the two? Thank you and more power. Based on the facts shared, let us contemplate on the definition of “goods” pursuant to NIRC sec 106 (Value Added Tax on Sale of Goods or properties): “The term goods or properties shall mean all tangible and intangible objects which are capable of pecuniary estimation.” This qualifies that all other not covered by definition shall be services. Basically, service is just a part sold in the case and what is substantial is the sale of goods. The BIR contests in this manner. As such, just consider recording same as goods. What legal action that BIR might possibly take on non-stock and non-profit Smile Citihomes I Condominium Corp in Barangay Kaligayahan, Quezon City with Tax Identification Number 214-510-643-000 for failure to file with the Bureau of Internal Revenue returns of net income for the years, 2004 to 2014? We noticed a lot of questionable entries in their financial reports. The yearly salaries and wages amounted to more than 2,100,000.00 Pesos and there is no detailed report about it. The corporation for years does not issue official receipts for our condo dues, parking fee, water bill, posting fee, etc. Based on stated facts, we noted multiple non-compliance which the BIR may see as ground to charge multiple penalties and criminal penalties for the non-filing. If feasible with you to meet and discuss the matter for further information as necessary to help you with your case. May i know how i can get official receipts for consultancy and other services such as apartment rental . The services are not regular. They just come once or twice a year. I may need to give ORs. How long will this take? Who is the best person to talk to in BIR whom we can deal with professionally? To address your concern, you have to apply first your business operations with BIR for you to obtain a Certificate of Registration then they shall issue you Books of Accounts before they issue you an ATP (Authority to Print) OR’s for the consultancy and other services you may render as a self-employed individual taxpayer. This will take about a month or two depending on your RDO and the Authorized Printer. We’ve established our new business last May 2013. However, we were not able to print our OR immediately. It’s been four months since we filed for ATP. I just want to ask if there is a memorandum or some kind of ruling discussing how much penalty should we pay for that matter? Are we (new business) covered by this new memo by BIR? Hoping for your prompt response for this matter. BIR RMC 52-2013 provides that “All principal and supplementary receipts/invoices with Authority to Print (ATP) dated January 1, 2011 to January 17, 2013 may be used until October 31, 2013 provided that the new ATP was issued on or before August 30, 2013. However, application of the new ATP filed after April 30, 2013 is deemed to have been filed out of time and subject to penalty of One thousand pesos (Php 1,000.00) pursuant to section 264 of the tax code, as amended. Is there a violation if the branch office shall use receipt of the head office? If there is, what is the legal basis? Also penalty for such violation? Technically there is, if the branch office is separately registered with the BIR, penalty pursuant to NIRC sec. 264 amounts to Php 25,000.00. However, if the branch office is not yet registered with the BIR, they may at the mean time use the Head Office’s receipts. But this should be registered the soonest before the BIR conducts a tax mapping at the branch office location. Should there be any further clarification, kindly let us know. what will be the penalty if the forms 2551M, 1701 and 1701Q are no operations, but we are starting this 2014.coz we just created it on feb 2014 the bir state that when we apply tax clearance for bidding we have to file or paid it on efps? is that correct? There is no penalty if you have filed on time those mentioned returns within the deadline. What is payable if you would like to apply for tax clearance for bidding purposes is a Php 100.00 Certification fee, fill up in triplicate copies BIR form 0605 (payment form) and pay at Authorized Agent Bank or the BIR office. In case you were registered already with the BIR, Penalties as computed by the BIR are based on the revenue code per run of CMS (system BIR use in checking filed returns) on open cases. Should you wish to settlle with a reduced rate, you may have it negotiatied with the BIR office itself where your RDO is. But this is not an assurance that same will be reduced in any manner. My concern is for the issuance of Official Receipt. What if the customer avail for the Senior Citizen’s discount & wants his OR to be named under company name, is it allowed by the BIR? or should be named strictly under the name of the Senior availing the discounts? THat is a very good question Shane. Let me check up on that for you. But off the top of my head, I believe it should be either-or. So if the person avails for a discount, it should be be name to him / her (unless this is a sole prop). Should be named after the Senior Citizen availing the discount of course since it is only allowed to persons recognized by tax laws. Yes. If you will be very strict about this,all types of receipts have to be produced and/or accredited by the BIR. There are procedures for having your system accredited. What should I do to replace legally the damp official receipt booklet? This is the first time we’ve heard that; but I’d suggest going to your printer (it should be in the receipt itself) and discuss that with them. I just want to ask? Our new branch BIR permit is on process. since this is a branch only, can we use the Head Office official receipt while waiting the branch OR? Yes. I dont think you’ll have any trouble with that.